Nusa Lembongan is a small island between Bali and Nusa Penida in the Badung Strait. Nusa lembongan’s combination of world class waves, warm water and a rich cultural heritage has been drawing surfers to its shores since the 1975s., with few tourists and pristine unspoilt beaches for a quiet, peaceful, and restful vacation. It is a tropical island located approximately twelve miles off the mainland. It is quickly becoming one of Bali’s most popular attractions. This small paradise island is a world away from the hassles and the hectic pace and lifestyle of South Bali. The island of Nusa Lembongan is just about eight square kilometers in area, and is one of three neighboring islands, the others being the much larger Nusa Penida and the tiny Nusa Ceningan. The three islands are separated from Bali by the Badung Strait. We, “Bali Surf Coaches” would like to show you the other side of Nusa Lembongan Island. 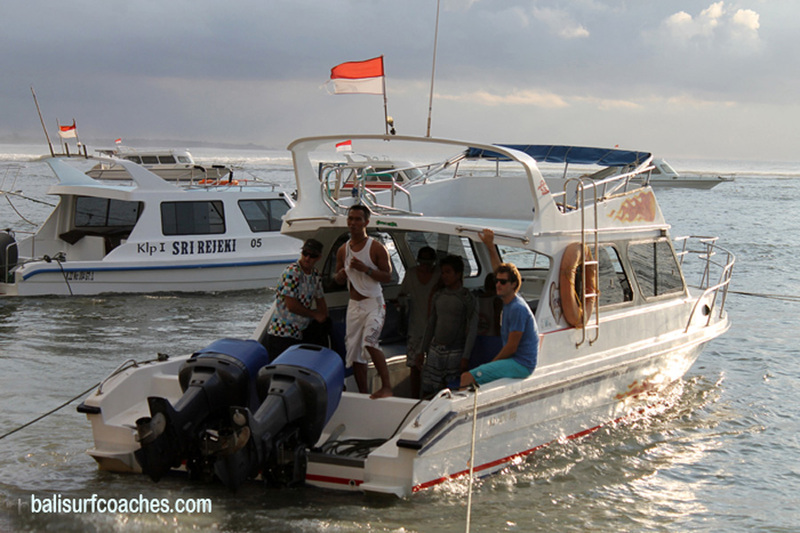 PRICE: USD 350 per boat, capacity within1 to 10 persons. Surf guide and pick up transport price. Insurance. It is recommended to have your own travel insurance. If there are no waves at Shipwreck or Lacerations try out this place. Works on mid to high tide good barrel as well. Mainly a left hander, but at high tide the short right is ride able. Be prepared for some strong currents. Only suited for experienced surfers.